First, the why of the cloud. 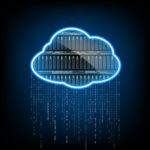 Organizations are finding that the cloud allows their employees to access data and applications from anywhere on any connected device. This increase in mobility and productivity is a great way to get ahead of the competition, and provides your team with the resources needed to take their career into their own hands. Thus, the cloud allows businesses to break down the traditional barriers that once required professionals to be tied down to the office, and allows them to work on their own terms. Granted, the cloud isn’t always this simple. Depending on what you need the cloud to do, you can use it for hosting your email or productivity suite, or to virtualize your entire network infrastructure. 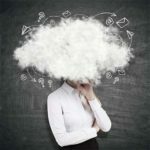 Here are the three types of cloud solutions that you’ll likely be presented with, as well as the advantages and disadvantages of each. 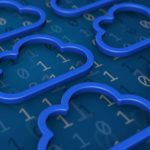 The public cloud is usually hosted separate from your in-house infrastructure, perhaps by a third-party cloud provider. These solutions usually have consumer-ready plans, with some additional features and services for businesses and enterprise. The public cloud is great if your organization doesn’t have the assets to host an internal cloud server, as it’s maintained and updated by the technicians rather than your business. However, since it’s hosted, you have limited control over security protocol, and your data is probably hosted on the same server as other businesses just like yours. If you want a more personalized approach, look into a private cloud. 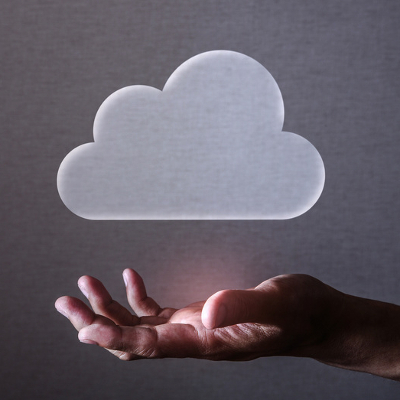 Unlike the public cloud, a private cloud is often hosted in-house on company hardware. This means that your internal experts are responsible for the upkeep, management, and operational costs of running a cloud server. This is ideal if your organization has internal talent that can deal with these responsibilities, but you can also implement as much security on a private cloud server as needed. Unless you have an internal IT department of your own, you probably would prefer the hands-off approach that the public cloud offers. For those who still want the functionality of the private server, but the accessibility that the public cloud has to offer, a hybrid cloud solution is the choice for you. A hybrid solution is a great choice for businesses that need a dynamic solution that does exactly what they want, without sacrificing functionality. 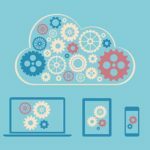 Hybrid clouds can be private clouds managed on-site by a third-party provider, or they can be hosted off-site for simplicity’s sake. If your business needs a solution that can take your organization into the future of computing, reach out to us at (973) 882-4644. We’ll work with your business to ensure that you get the solution that best fits your needs.